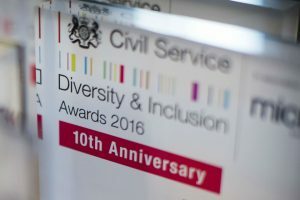 The 10th anniversary Civil Service Diversity & Inclusion Awards were held recently in the Locarno Room at the Foreign & Commonwealth Office. It was a grand setting for an important event. 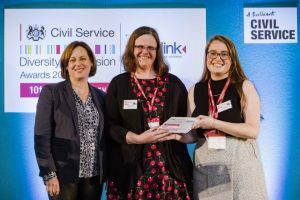 It marked the brilliant work of many committed individuals dedicated to making the Civil Service a better reflection of the society we serve and removing the barriers still faced by some because of their gender, ethnicity, disability or sexuality, particularly in reaching senior positions. 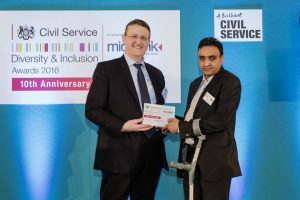 New figures from the Office for National Statistics show that the proportions of civil servants who declare a disability (9.2%) and those who are from a Black, Asian or minority ethnic background (11.2%) are at record highs. Currently, 54.2% of the workforce are women. 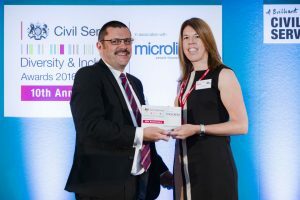 As the Civil Service Diversity Champion, it is immensely gratifying to see the individuals and teams working for greater inclusion and opportunity get the recognition they deserve and contributing to this improving picture. 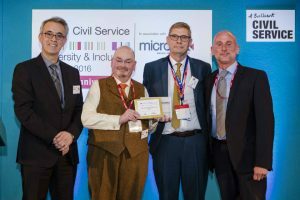 Nevertheless, the fact that we need the awards reminds us that we still have some way to go before we achieve our ambition of making the Civil Service the most inclusive employer in the country. Winner: Joanna Parry, Home Office (Entry Clearance Officer in Pretoria, South Africa). “We’re extremely proud and honoured. The award showcases what we’ve been able to deliver over the last couple of years since the emergence of the network. 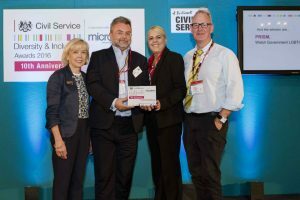 It’s especially meaningful for us because it represents what we do for our members, who are our army of volunteers when it comes to pulling together and delivering events across the department. You can read more about the programmes and initiatives behind the winning of all the awards on the website. 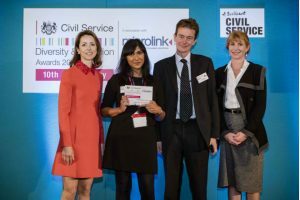 The winners in each category will now be considered for the overall Diversity and Inclusion Award in the Civil Service Awards, which will be presented at Lancaster House in November.